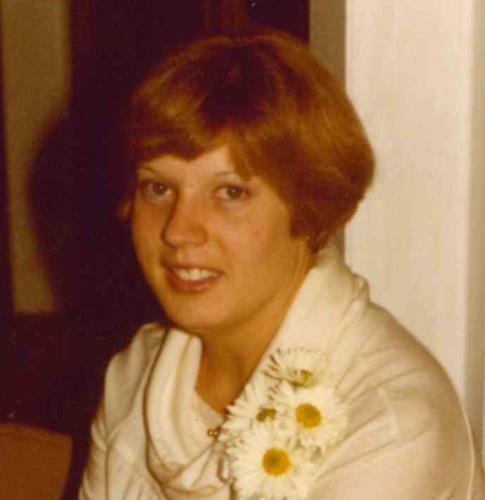 Sara Elayne “Laynie” Hixson, or Sara, as some friends may know her, passed away unexpectedly on Friday, January 11, 2019, at the age of 60, with her family surrounding her. Laynie deeply loved her immediate and extended family and friends and she will be greatly missed. Her family is grateful for her fellow department nurses at Blue Cross Blue Shield and for the ER doctors, nurses, and staff at Erlanger who were with her. As well as being an unassuming, quiet, and gentle lady, Laynie was a proud and caring nurse, and, would have been assisting and giving direction to those around her regarding her own care, if she had been awake. Laynie always cared for others more than she cared for herself. Laynie was a native North Chattanoogan and a member of First Centenary United Methodist Church. She went to White Oak and Rivermont Elementary Schools, Northside Junior High School, and graduated from Chattanooga High School. She started her nursing education at East Tennessee State University before graduating with a B.S. in Nursing from the University of Tennessee at Chattanooga. She worked as a registered nurse in Augusta, Ga., and in Chattanooga at T.C. Thompson’s Children’s Hospital, before ultimately becoming charge nurse of the Neurological Surgery unit at Emory Hospital in Atlanta. She then returned to Chattanooga to finish her career as a nurse at BCBS. Laynie was an avid reader, traveler and was passionate about music. Laynie was preceded in death by her mother who loved her deeply, Shirley Griffin Hixson, with whom she is now reunited with our heavenly Father. Laynie is survived by her father, Everett L. Hixson, and her brothers, Everett L. (Bo) Hixson Jr. (Carol) and George G. Hixson (Michael); niece and nephews, Everett L. (Rett) Hixson III, Samuel Harrison Hixson (Therese), and Virginia Ann Hixson; uncle and aunts, William Henry Griffin Jr. of Cordele, Ga.; Sarah Jane Bradley of Macon, Ga.; Shirley Hixson Harper of Chattanooga; and Gaynell Hixson Smith of Rocky Face, Ga.; and many cousins in Tennessee, Georgia, South Carolina, and beyond. We all love you Laynie and have faith that you are still caring for others in heaven with Christ for all eternity. Visitation will be on Friday, Jan. 18, at Lane Funeral Home on Ashland Terrace from 6-8 p.m. Interment will be on Saturday, Jan. 19, at 10:30 a.m. at Hamilton Memorial Gardens, Hixson, Tn. A Celebration of Life Service will be held at First Centenary United Methodist Church on Saturday, Jan. 19, at 1 p.m., with the family receiving friend at the church at noon prior to the service. In lieu of flowers, and in keeping with Laynie’s giving spirit, donations can be made to the non-profit organization of your choice or to the homeless ministries at First Centenary United Methodist Church, Children’s Hospital at Erlanger, McKamey Animal Center, St. Elmo United Methodist Church Food Pantry, or Chattanooga Food Bank. Arrangements are by Lane Funeral Home ~ Ashland Terrace, 601 Ashland Terrace, Chattanooga, Tn. 37415.